It was supposed to be a simple surgery for Mr. Zhou’s 63-year-old mother, at Weixian People’s Hospital in Xingtai City, Hebei Province. When she fell from her electric bicycle, she sustained a bone fracture in her right leg, which required a steel plate to hold the bones in place. But after the surgery, she had nonstop pain. Four months later, Zhou brought his mother back to the hospital, and unintentionally, a corruption scandal was revealed. On Nov. 1, Chinese media outlet Jiangxi News Net reported that the steel plate had split in half and become embedded in her flesh. The surgery was initially successful, but the steel plate had later broken. An undercover investigation by Jiangxi News, which initially sought to determine if the steel plate was made with substandard materials, or if it had failed to meet safety standards, revealed that Weixian People’s Hospital had sold the steel plate and bone screw to hospital patients at an exorbitant price, much higher than what the hospital paid. For example, a supplying company sold the steel plates to the hospital for 480 yuan (about $72) apiece, but the hospital charged patients 4,662 yuan (about $700). The money from the price hike, according to Jiangxi News Net, had been pocketed by staff at different levels of the hospital—the director, dean, pharmacist, department director, and doctor. For years, the country has been plagued by hospital scams, kickback scandals, unsafe medications, bribery, and substandard vaccines. Corruption at Weixian People’s Hospital is just a microcosm of wider issues in China’s health care system. For years, the country has been plagued by hospital scams, kickback scandals, unsafe medications, bribery, and substandard vaccines. It is not uncommon for confrontations to break out between doctors and patients when the treatment doesn’t go smoothly. Yet underneath all the conflicts lie even bigger problems—some that have been addressed publicly by Chinese Communist Party officials. One reason China lags behind the United States in quality of health care is the money the Chinese regime puts into the health sector. According to the World Bank, health care accounted for 17 percent of the U.S. GDP in 2014, compared to China’s 5.5 percent. On paper, the Chinese regime says that 95 percent of its citizens are covered by medical insurance and can access state reimbursement of up to 70 percent for a range of illnesses. But many say that the insurance scheme is not comprehensive enough. Patients still pay half their medical costs from their own pockets, according to a 2013 analysis by the Wharton School of Business at the University of Pennsylvania. Health guidelines are another source of the problems within the Chinese health care system, reported Chinese news portal Sohu, citing comments made by Fan Daiming, director of the State Key Laboratory of Cancer Biology. The guidelines are protocol for different aspects of health care, such as dental care and hospital stays. Fan said that 96 percent of the guideline content is copied from Western sources, but there should be rules unique to Chinese health issues, such as guidelines based on the eating habits of Chinese, rather than those of Westerners. Speaking at a political meeting in March 2014, Zhong Nanshan, the former president of the Chinese Medical Association and the current editor-in-chief of the Journal of Thoracic Disease, said that health reforms had failed to solve many fundamental problems. For example, Zhang said that many Chinese living in poverty continue to have no access to health care due to high costs. 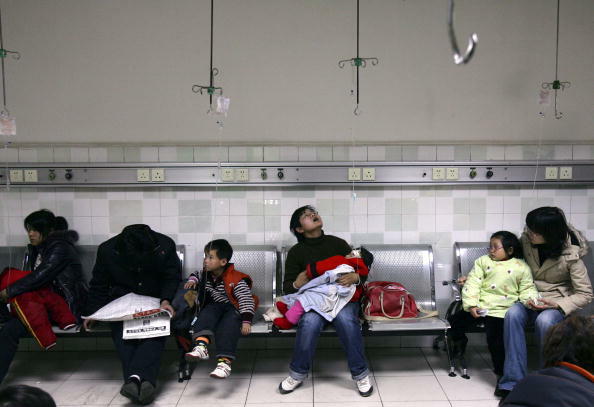 Additionally, public hospitals in China, with a lack of financial support from the Chinese authorities, continue to operate like private hospitals, desperate to improve their earnings. To make his point, Zhang pointed out that doctors at public hospitals have more outpatient clinic appointments than they can handle, in order to make more money off patients. “These are not typical problems. These are deeper, systemic problems,” said Zhang. In June 2016, the death of Wei Zexi, a 21-year-old college student who was diagnosed with a rare form of tissue cancer, gained attention when it was revealed Wei had received useless cancer treatment for six months prior. Chinese media investigated and found that the hospital that had provided Wei the treatment was part of the “Putian Network”—8,600 private hospitals, controlled by businessmen and Party officials, that had placed online ads to market their fake treatments and drugs.